The worst certificate any graduate could hold in Nigeria is HND. It is an extremely confusing document in any way you look at it. It brings pains and agonies to most of the holders as soon as they graduate from our polytechnics. Across industrial sectors and civil service units, the holders are completely discriminated against, putting them below their bachelor’s degree counterparts. For years, government has worked on reforms, pushing companies to recognize HND on parity with bachelor’s degree. But that has not happened, and it would never happen in Nigeria. So, it was good news that the federal government has decided to kill HND in Nigeria. That is certainly a good thing. Without an option of HND, our young people would be saved the HND troubles in workplaces. All state polytechnics should collapse into state universities with non-technical programs in state polytechnics scrapped for HND. There is no need of having this institution of discrimination. Our young people deserve better. 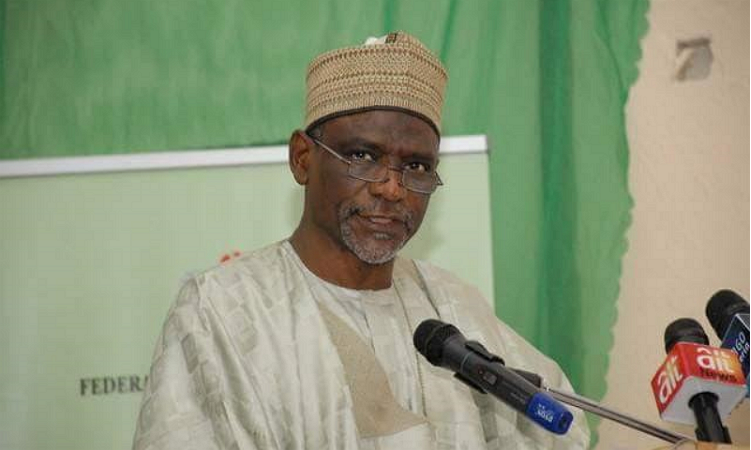 I commend the Honourable Minister of Education, Adamu Adamu, for his vision on this unlike the one they suggested before. He has put forward a solid roadmap by scraping HND certificates even when keeping OND certificates. Also, refocusing polytechnics to focus on technical areas is a welcome development. Possibly, with more funding and planning, our polytechnics would become vehicles to deepen our technical (vocational) capabilities which would be critical for building our industries. What’s the way forward for students especially those on IT? It depends on your field. If technical, it is possible you would go for BTech. what happens to those people who already have HND certificate? No impact – this was not designed for that situation. I really don’t know whether one should see this as a welcome development or a disaster. One of the good sides; it gives students chances to go for Direct Entry (DE) and get the much preferred B Sc Certificate. The other is……someone should just help me because I can’t get any other benefits. Firstly, I thought what should have been done by the Minister of Education (Mr Adamu Adamu) was to equate the Polytechnic certificate with that of the University, thus Bachelor of Science (B Sc) and Bachelor of Technology (B Tech). Instead, he scrapped the issuing of HND certificate totally. Seeing that Polytechnics are only restricted to issuing of ND, students will no longer be interested in going to poly, not even those who had interest for it before. Even most parents will not want their children to apply for it. What about those already enrolling on their IT program? What’s their fate? Guess it’s just to go for Direct Entry (DE) for any University of their choice. Oops! I just remembered that “Under the new rule, the polytechnics will now become campuses of the proximate universities with the Vice Chancellors of those universities appointing provosts for the polytechnics, subject to the ratification of the Universities Councils”. In other words, the students probably have no choice than to subscribe for the proximate universities whether they like it or not (I stand to be corrected). Due to these points, it will increase the number of people applying for Universities seeing that only they can issue credible and acceptable certificates. And for the fact that every school has limited number of candidates being admitted in every academic session, which will lead to high number of candidates not granted admission. What about those who are not very financially buoyant for the University fees? How are they going to cope seeing that polytechnic is cheaper than university? That reminds me, what about the lecturers of those “so called non-technical courses”? what’s their fate? Would they be rendered jobless or they will all be given a spot at the proximate universities? Exactly my fear, what’s the fate of the students on IT? I am on IT as well @ Perpetual and co. I just wonder if the Ministry actually saw/thought things through before coming to a conclusion. Because, from my knowledge, I believe before any law is being passed, it has to be thought through, examined both the good and bad side. And if the bad side exceeds the good side, you do away with it. I wonder what they saw about this decision that I’m not seeing or what I am seeing that they didn’t see. #who knows? “To kick-start the new policy, the nation’s two most prominent polytechnics – Yaba College of Technology and Kaduna Polytechnic – will henceforth be known as City University of Technology, Yaba and City University of Technology, Kaduna. I’m not trying to be sentimental here, but why did they select just Yabatech (West) and Kaduna Poly (North) without any from the East. I smell politics playing part here. See where kaduna dey, na im sumbdy dey call Kaduna poly prominent ahead of the other highly rated polies because he’s from the North? The exec has gotten it wrong. I hope the legislature will play strong oversight role here. In the U.S, Britain, Canada and other countries we copy from, polytechnics subsist. The countries, at some point, faced the same problems nig is encountering now. Their polytechnics were renamed and refashioned in curriculum and staffing to make them degree awarding institutions. Two, we hv other programs in these schs outside the core technical courses. Example is Massachusetts institute of technology in the U.S, which has public administration dept among others. The same is seen in Canada etc. Three, nig is currently having problems over admissions even with the polytechnics in existence. Wat will happen wen there are no supporting polytechnics? Four, wat will happen to the teeming lecturers in the polytechnics? The labour market is already overflowing. Public policy making requires thorough analysis b/4 policies are churned out. The exec arm should go back to d drawing board. The policy is ill-conceived. HOW CAN I APPLY FOR B.TECH WITH ND IN MECHANICAL SINCE HND NO MORE EXIST? Read very carefully and understand the message thy are conveying. No lecturer losses job, and NO student will loose hope. IT’S OBVIOUSLY A WELCOME DEVELOPMENT. What we need to think about is how will the mode of admission look like in this polytechnics? Because I asked one of my lecturer from where I finished my National Diploma, he told me the admission process will still be the same, they’ll only be operating under the name of an affiliated University. Maybe you should talk to one of your Lecturer or any academic staff in your school. My suggestion though.